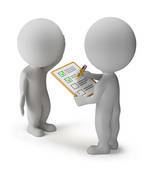 To get better results for 2013 many entrepreneurs are doing surveys on their readers and prospects. 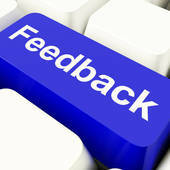 Online surveys are seen as "the ultimate way to gain valuable feedback" from your customers. Expect a 'survey surge' to get underway. You too can catch and tap this wave of survey-mania. Conduct one or some surveys yourself easily and without spending an extra cent. Watch the video to see how it's done. There are other online sites that you can use for doing surveys but this one beats them because you get Online Surveys done for free while you're managing your email list at the same time. And you can ask as many questions as you want - there's absolutely NO limit! The end result is you can better tailor your marketing campaigns after you have gathered accurate and greater information about consumer preferences, habits, etc. from your surveys. You also have the opportunity to convert 'warm' prospects who participated in your surveys into subscribers or customers. All this means you will be able to serve your list better going forward. Your list/s deserve priority because your success in 2013 will hinge on how well you manage this aspect of your business (assuming you have everything else under control). Therefore arming yourself with vital information gathered from easy, online surveys is a key part of this success because it enables savvy management of your most important asset viz. your customer base.